The Best Fencing Youtube Channels from thousands of Fencing Youtube Channels in our index using search and social metrics. We’ve carefully selected these youtubers because they are actively working to educate, inspire, and empower their audience with frequent updates and high-quality videos. About Youtuber The FIE is the organization which governs fencing throughout the world. It is based in the Olympic capital of Lausanne and currently counts 148 member federations. Find videos on sport of fencing worldwide. About Youtuber A martial arts channel run by the two instructors and co-founders (The Thomas Brothers) of the Academy of Historical Fencing. Here you will find all manner of videos relating to the practice of historical European swordsmanship, from lessons to equipment reviews, sparring footage and articles. About Youtuber Find videos and updates on fencing. About Youtuber CyrusofChaos is a library of videos from fencing tournaments that my teammates and I have filmed and analysis videos that I have created. The analysis videos have often been created using the input from many people from various countries. About Youtuber Australia's first dedicated sabre fencing facility, posting training and analytical resources, international matches and compilations for the fastest combat sport on earth. About Youtuber Axel is one of the leading instructors in Historical European Martial Arts, having taught in over 20 countries. He is also the most successful tournament fencer in the world, having won several international titles in several weapon categories in full contact steel weapon fights. He posts videos on workshops, lectures, individual coaching for technique and skill development. About Youtuber At Leon Paul we manufacture high-quality fencing equipment in our own factory in London. Run by Olympic fencers specialising in cutting edge fencing equipment. About Youtuber Selection of fencing videos. There are videos of foil,epee and sabre matches from various tournaments. Get the videos related to Fencing news / Live video / Results / Tournament invitations / Fencing rules / Ranking lists / FIE / ECC / EFC / HMS / MSZ / Fencing games. About Youtuber LSL is a nascent lightsaber-fencing league based in Southern California, with the goal of becoming the primary organization linking all competitive lightsaber clubs in the LA Metropolitan area. About Youtuber Commentary and analysis of high-level men's foil fencing, currently focused on the men's individual foil event at the Rio Olympics. About Youtuber The Face of Fencing is a Fan-made channel providing a comprehensive coverage of Race Imboden's Foil Fencing career. About Youtuber Fencing Insider is here to help you take your fencing to the next level. Whether you are just starting out or if you are already advanced in fencing, you will find a tremendous amount of tips and tricks that can help you improve your fencing skills and life forever. About Youtuber A HEMA (historical European martial arts) class in Winsted, CT. Instruction on the teachings of Johannes Liechtenauer on the use of the sword, axe, dagger, spear, and other weapons. About Youtuber Marc Ganych is a Fencing Master of USSR in foil. He owns a fencing school in Canton, Connecticut. About Youtuber Australian Fencing Federation video channel. Videos taken at AFF events or featuring Australian fencers. About Youtuber The Qatar Fencing Federation was established on 20 December, 2000 fulfilling the demand to include the Olympic Sport of Fencing in the State of Qatar. About Youtuber A chance to review and enjoy the best in Irish fencing. Irish Fencing Videos aims to broadcast the final of every senior open competition in Ireland and Northern Ireland. About Youtuber This Channel is set up to be a resource for the Historical Fencing Guild, as instructed by Nicholas A. Tockert II. Folks can expect a simple, reasonable approach to learning swordplay, product reviews and more than a little tongue-in-cheek humor. About Youtuber Denver Historical Fencing Academy is Colorado's first HEMA school dedicated to using modern training paradigms to improve your historical fencing skills. Our channel will include lots of educational content, tournament footage, skullduggery, and kittens. About Youtuber Republic Fencing is a new and dynamic sports club focused on developing the olympic sport of fencing. About Youtuber I'm a former national sabre fencing champion who now teaches as the owner/coach at En Garde Fencing Club in Ocala, FL. Enjoy these videos for some exciting bouts or tips/advice from our camps/classes. 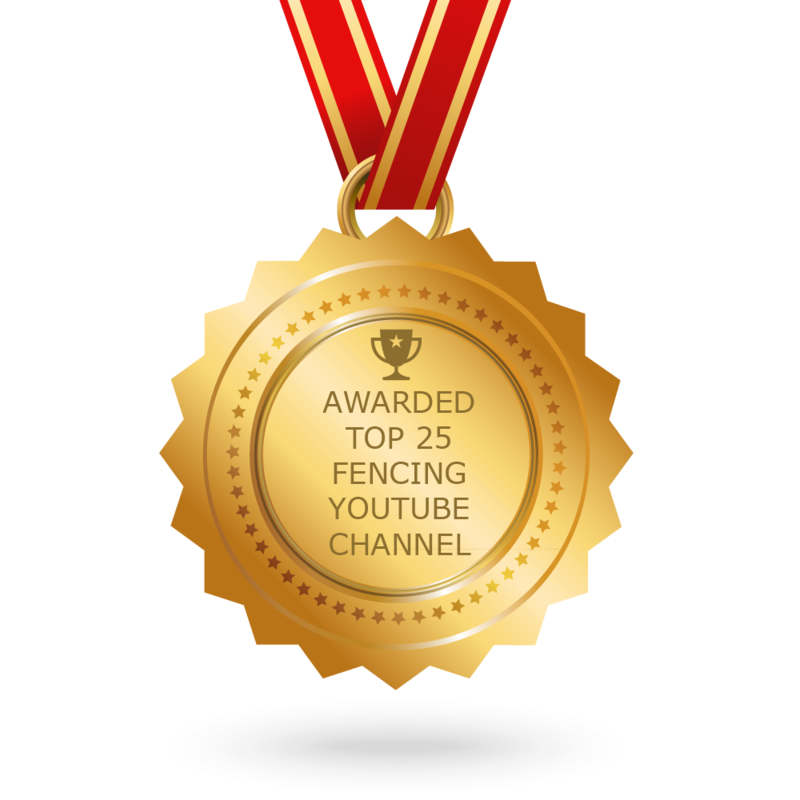 CONGRATULATIONS to every youtuber that has made this Top Fencing Youtube Channels list! This is the most comprehensive list of best Fencing Youtube Channels on the internet and I’m honoured to have you as part of this! I personally give you a high-five and want to thank you for your contribution to this world.